Learning and teaching accompanied Vámbéry’s whole career. He was almost a child when his fate first forced him to earn his living as a private tutor and language teacher, and he also taught during his stay in Istanbul. 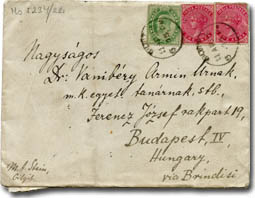 Vámbéry explained the cool reception with his conversion to Protestantism, after which the Catholic university denied to him a teacher’s position, so that he could only work as a lector publicus, in a modestly prized position originally created for János Repiczky for the teaching of Oriental languages, which was vacant since his death in 1855. He shared his feelings, hopes and disappointments concerning his position in sincere letters with his friend, the Turcolgist and Protestant pastor Áron Szilády. As the university archives preserve the academic curricula only from the 1877-78 academic year on, we cannot reconstruct the first decade of his working. 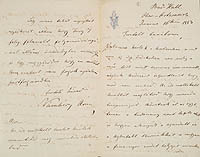 On the basis of the surviving documents we can say that he held mainly language lessons (beginning and advanced level) and text readings in Ottoman Turkish, Turco-Tatar and Persian. The texts studied together included the Pechevi’s historical work, the Shahnameh, Anvari Soheili, Gulistan, Jusuf u Zuleihkha, as well as Azeri and Chagatai texts. In the 90s his former students Ignác Kúnos and Sándor Kégl took over a part of his lessons, and from the academic year of 1903-1904 only they taught at the university, Vámbéry held his lessons in his apartment. 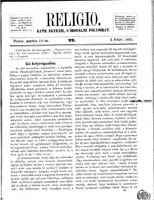 The importance of Vámbéry’ university activity is shown by the fact that Oriental studies became part of the Hungarian higher education by way of him, and he played a groundbreaking role in the establishment of the teaching of Turcology.